Today we’d like to introduce you to Dr. Tom and Lauren Williams. Roots Family Chiropractic opened in August 2016. My wife, Lauren, and I are excited to be celebrating our practice’s 1st birthday this year! I graduated from chiropractic school, Palmer College of Chiropractic in October 2015 with plans of opening my own practice after graduation. I am originally from the south suburbs, and always knew I wanted to be back in this amazing city. Therefore, opening the practice in Chicago was the ultimate vision. More specifically, due to being primarily a pediatric and prenatal chiropractic office, we knew that the beautiful neighborhood of Lincoln Park was the perfect fit. Roots Family Chiropractic is made up of myself and my wife who is the office manager. We began creating, building, and branding Roots right away post my graduation, and we haven’t looked back! Countless hours of networking, community projects, and health-focused workshops have gotten us where we are today. 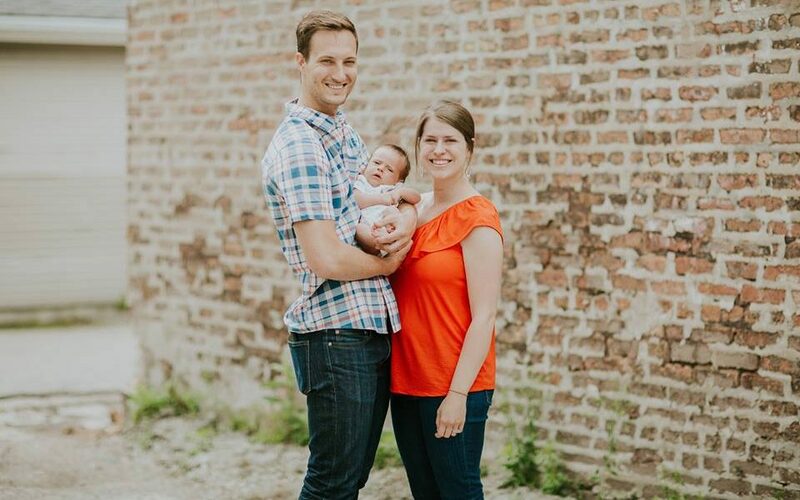 We take great pride in our mission of empowering families to live a health-based life, and we are excited to see how our practice continues to grow and help serve the families of Chicago! Opening your own business is definitely a journey! We have experienced many “ups and downs” along the way, but have learned so much from every experience. As a team, we have chosen to focus on each practice member we have positively impacted, and the amazing story they are able to tell due to chiropractic! Alright – so let’s talk business. Tell us about Roots Family Chiropractic – what should we know? Roots Family Chiropractic is primarily a pediatric and prenatal chiropractic office; therefore, a majority of our practice members are children! This makes us a very unique practice in the city, and something that we are very passionate about. Despite common misconceptions, chiropractic for kids is very safe, gentle, and highly effective! I have personally adjusted infants as young as a few hours old due to birth being innately a traumatic process as the baby passes through the birth canal. The most common diagnoses we see for children are colic, constipation, ear infections, potty training issues, ADHD, autism, sensory processing disorder, and many more. The most common reasons why adults join our practice is for help with infertility, pregnancy, sleep issues, low energy levels, and anxiety. We understand that the nervous system is the master controller of the human body. Therefore, if there is interference on that system, it is unable to function at its best leading to dis-ease and/or ailments. We are able to assess the amount of interference, or stress, on your nervous system through our state of the art technology. This allows me to show you exactly how well your body is functioning, and make clear, individualized recommendations for care moving forward in our office. Dr. Tony Ebel for introducing me to pediatric chiropractic care and the potential it creates to raise healthy children. Dr. Tony and Dr. David Jackson created an online training program that has helped shape our unique practice model. The International Chiropractic Pediatric Association for their excellent certification program that allows chiropractors to grow their expertise in pediatric and prenatal care. Thank you to our families for supporting us during the start-up of Roots Family Chiropractic. We could not have done it without them. LiveSideMedia for creative vision in growing our brand through photography, videography, website design, and graphic design.